General Electric’s bid for Alstom’s power unit could indirectly help transform the French engineering group into the train-building equivalent of Europe’s aircraft maker Airbus. The French government seems to think the way to achieve this is to oppose the American’s bid and favour a rival approach by German group Siemens. 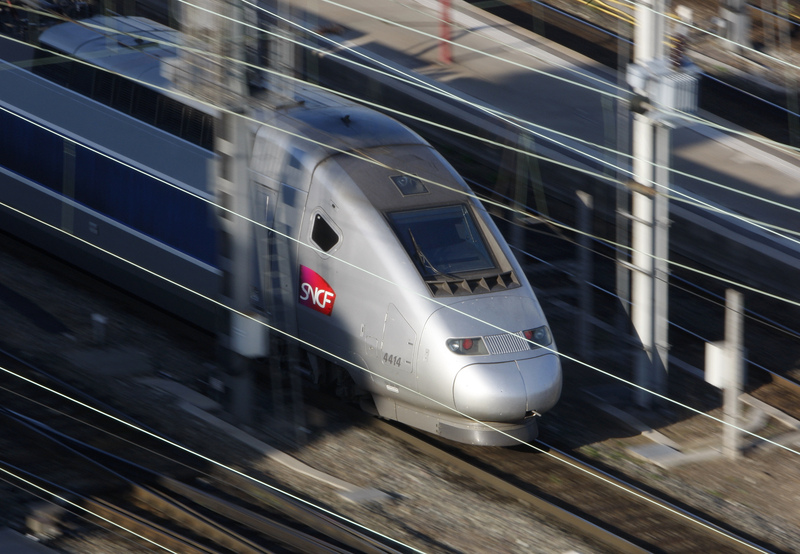 At the very least, Paris suggests GE should sell its own train unit to Alstom in exchange. But the ideal solution would instead be for Alstom to use GE’s money to buy Siemens’ own train business. And it would still be left with 5.4 billion euros to return to its shareholders. The strategic logic of a Franco-German train merger is strong. Separate, the two businesses struggle to compete on a global scale with upcoming rivals from China. With expected joint 2015 sales of 11 billion euros, Alstom-Siemens trains would be a strong global No. 3. Siemens is already preparing a counterbid whereby it would acquire Alstom’s energy assets and bring the French its own train unit. But the potential deal is shrouded in regulatory uncertainty due to the large overlap between Siemens’ and Alstom’s power businesses. Getting Brussels’ approval for “Trainbus” might prove tough if it is associated with a big-bang consolidation in the power industry. On the other hand, the GE bid – favoured by Alstom’s board – would increase competition in many markets and may be approved more easily. GE is offering 9.9 billion euros in cash. Assume 3 billion euros go to lowering the remaining Alstom debt to 0.5 times EBITDA. Siemens’ trains are worth around 1.5 billion euros. That would leave some 5.4 billion euros – 17.50 euros per share – for Alstom to pay out a special dividend or launch a share buyback. True, Siemens might be reluctant to play ball if it is rebuked in its bid for Alstom. But the German group has long had problems with its train unit. With sales of 3.1 billion euros, it is a mid-sized player and it has been dogged with technical issues. Alstom, on the other hand, makes a 5.4 percent operating margin on trains. French expertise, higher purchasing volumes, and more efficient R&D could generate 300 million euros in annual synergies. If the French do not seize the opportunity to buy their big European rival, the risk is that someone else will. The French government rejected General Electric’s current bid for Alstom’s energy assets on May 5, but opened the door for a deal that would also combine the two companies’ rail businesses. Alstom said last week it was reviewing a binding bid from the U.S. conglomerate for its energy arm. GE is offering 9.9 billion euros in cash and would also take on some of Alstom’s pension liabilities, driving the total enterprise value to 11.4 billion euros. Montebourg said the government was concerned that Alstom’s rail transport business, which makes 26 percent of the company’s revenue, would be isolated if it were hived off. Montebourg said the GE activities in question included its freight train and signalling businesses, with revenue of $3.9 billion. Siemens emerged as a possible white knight after saying last week it would make a formal offer for Alstom that would include a swap of the power and rail assets.